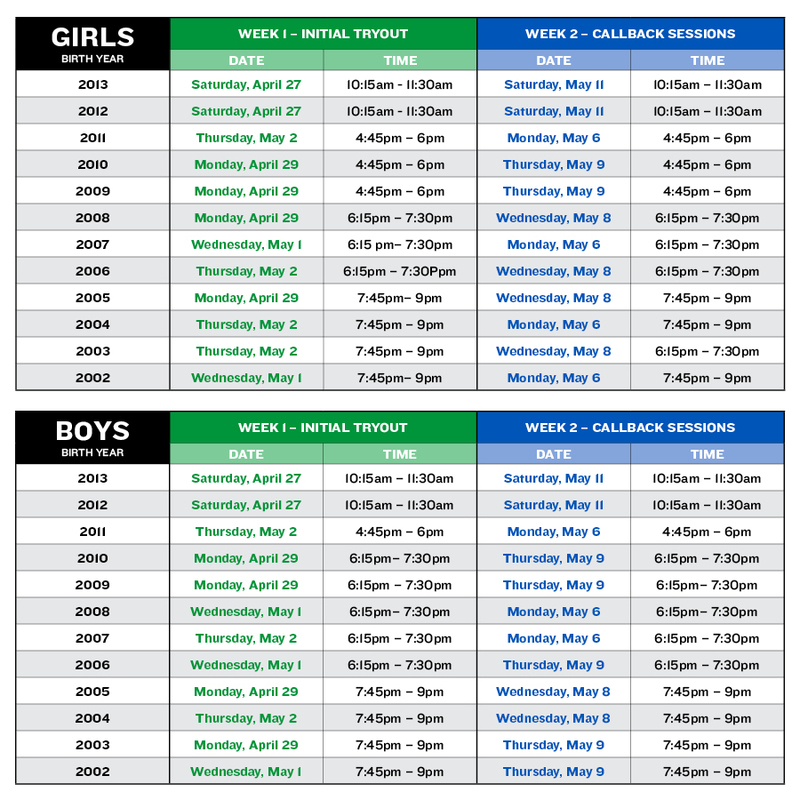 Tryouts for players born between 2002 and 2012 will be held April 27 through May 2, 2019 based on date of birth. Callbacks will take place May 6 through May 11, 2019. Register for tryouts here. If you have any questions about tryouts, please email soccercoordinator@asphaltgreen.org.